“The Wild Free Ranging Horse Burro Act also authorizes designation of specific ranges for wild horses and burros. 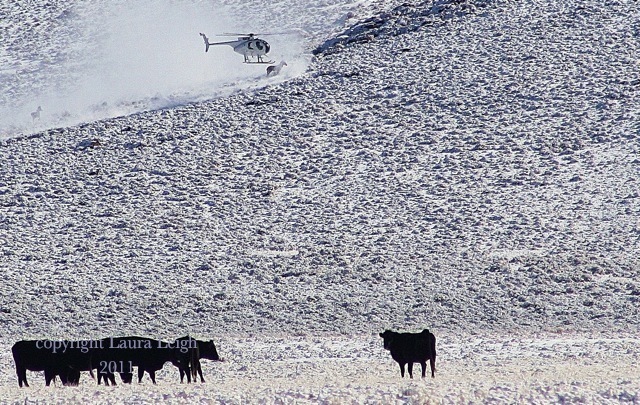 “Range’ means the amount of land necessary to sustain an existing herd or herds …and which is devoted principally but not necessarily exclusively to their welfare in keeping with the multiple-use management concept for the public lands”. 16 USCS §§ 1332(c), 1333(a). The passage above, excerpted from the Wild Free Ranging Horse and Burro Act of 1971 (Act), has been cited by wild horse and burro advocates for at least a decade when commenting on Environmental Assessments (EA). These EAs invariably result in Records of Decisions (ROD) which, despite the citation of this passage, end up in removals of wild horses and burros from the range. The Bureau of Land Management (BLM) will note in the Final EA, prior to the ROD and roundup, that the passage quoted is not relevant to the EA, and they are correct in that statement. We have all seen this happen over and over. It’s all in “interpretation” of language. The reason BLM can make this claim is because that passage relates to ranges, not herd management areas (HMAs). The Act authorized the designation of specific ranges. It did not mandate that the places where wild horses and burros were occurrring should also be designated as ranges. The Act mandated management of areas where wild horses and burros were presently found. The distinction is the language: principle use is a range, management is everywhere else. However no where in the Act is the term “Herd Management Area,” only the definition of “range.”(There are days where I seriously wonder “what were they thinking!” when they crafted the Act and why it was NOT given specific, but rather flexible language). NOTE: range is defined in the Act as the land necessary to support with horses. But somewhere, somehow that designation changed to an upper case “R” and only a handful of areas are supposedly managed that way. NOWHERE is there any documentation of how “Herd Management Area” became a distinct designation where “principally” does not apply. Myth #13: Under the 1971 Wild Free-Roaming Horses and Burros Act, BLM-administered public lands where wild horses and burros were found roaming in 1971 are to be managed “principally but not necessarily exclusively” for the welfare of these animals. The “principle but not exclusive” language of a range actually gets real dicey even on these special “ranges.” The Marietta wild burro range (one of the very last places that we have wild burros) has an AML of only 78-104 animals. The Little Book Cliffs is 150 and the Pryors, 90-120. The Nevada Wild Horse Range has 300-500 (however there is interesting geography and there is likely a population that registers on this range and into another HMA and onto Forest Service lands). And those are the “best there is” and where that language in the Act is supposed to apply. NOTE we do not have the Antelope Valley range, we have the Antelope Valley HMA. We don’t have the Little Owyhee range, we have the Little Owyhee HMA, (and so on and so on). So technically that language does not apply. Would changing the designation of HMA’s to be equivalent under the law to the status of ranges make a difference? It might. In areas where competition for resource is becoming more fierce each year as ranges over grazed by over permitting livestock, expanding extraction industries such as natural gas and minerals (which require massive infrastructure as well as water use) the designation may save many areas from being “zeroed out.” But would this actually afford “principle but not exclusive use?” Perhaps. But, if you look at the population numbers of our specially designated wild horse ranges, in three of them we see populations below the accepted 150 breeding adults for sustainable viability (Gus Cothran is quoted by BLM as giving the number “100,” but if you look at the research itself and not “conclusions” the number is 150). The prognosis may not be good. However, many, many HMAs currently have a larger land base than the ranges. So the designation of existing HMAs as ranges could result in an increase in the number of animals on the range upward to a total population number that actually represents what is supposed to be the appropriate management level. Note: this language is currently being challenged in the Owyhee lawsuit carried by WHE. Can the designation be changed? Actually yes. There are specific criteria that need to be achieved in order to meet the Department of Interior language. Of course with the entrenched uses on many HMAs there will be a variety of well-funded opponents to changing the language of public range use. Sadly, the public has been misled for years into believing that protection as principle use already existed for HMAs. 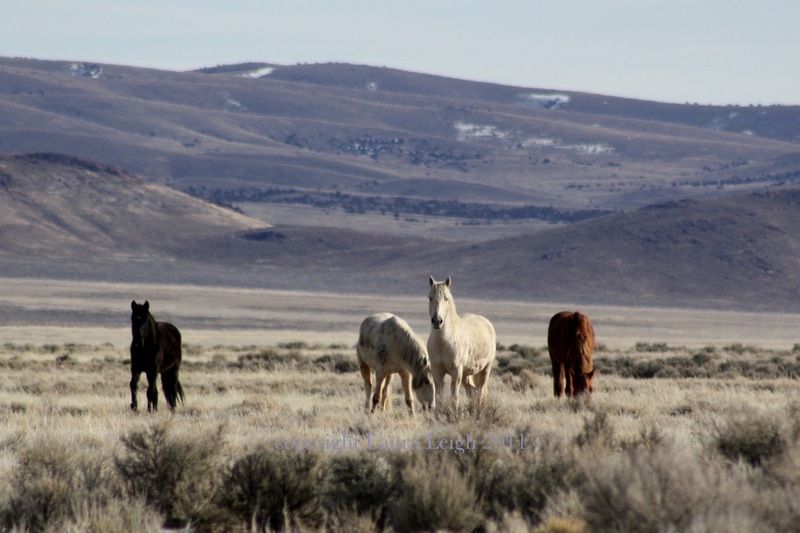 Land use plans would need to be amended or Congress would need to amend the Act to make the language used for range to apply to other areas wild horses are managed. There is another law, the Federal Land Policy Management Act (FLPMA), where the term “multiple use” comes from. That law says BLM must manage land in a fashion that balances all viable uses for “the public good.” This law has ben used for years to keep wild horse and burro populations “fast disappearing” from our American West in favor of uses that can demonstrate a profit line and assert a stimulus to local and National economies. Yet this “multiple use” document may actually hold some language to address viability of use with regard to wild horses and burros, i.e., we need enough animals to be genetically viable and we need the resources to sustain and protect this public interest in public land. Wild Horse Education is currently working on definition of criteria for “Range” and evaluating the nomination process. More news soon…. please support our investigations into management practices, field observation teams and actions that include litigation.